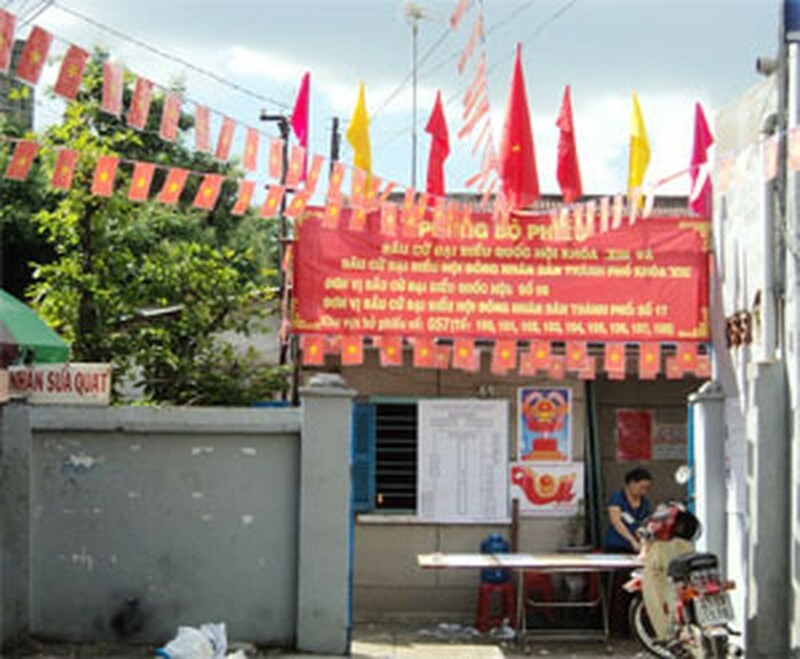 People in Ho Chi Minh City are eager for the national parliamentary elections this year, with the elections in some rural areas having taken place successfully. People in Ho Chi Minh City are eager to cast their ballots on Sunday as election flags, posters and banners are displayed along many streets around the city. In Tan Phu District, 35 cars decorated with flowers and election banners, 60 motorbikes with national flags and more than 200 young people with a banner that read “May 22nd, 2011 – The festival of the country” paraded around the street. “My family with six members is happy to attend the elections this year. We have recently discussed agendas of candidates with each others to find out the best vote,” Dien Thi Cai, living in a Khmer neighborhood in Tan Binh District, told Dau Tu Tai Chinh Newspaper. Nearly 800 voters in a commune in the central province of Quang Binh cast their ballots on Friday [May 20th], two days earlier than other regions. 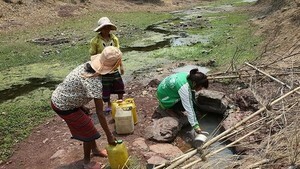 Locals of Tho Chau Island Commune in the Mekong Delta province of Kien Giang also made their votes on the day. “1,104 people on the island finished their voting on 1pm, six hours earlier than expected,” said Tran Hoang Nghiem, chairman of the Tho Chau Commune People’s Committee. Up to 12 communes in four rural districts in the mountainous province of Kon Tum were also allowed to make their votes one day earlier [May 21st] due to the rough traffic. Statistics show there are more than 91,000 polling spots in 63 provinces and cities nationwide, with tens of millions of voters expected to make their votes. Vietnamese citizens will elect 500 representatives to the National Assembly, 3,200 members of People’s Council in cities and provinces, and over 300,000 members of People’s Council in districts and communes. The first votes in the elections were cast by employees of the Rong (dragon) oil field in the southern province Ba Ria-Vung Tau on Monday (May 2). Elections to the National Assembly and the People’s Council take place once every five years, but they are usually scheduled two years apart. But this year they are being held at the same time.